To be in an upright position on the feet (studio visit). 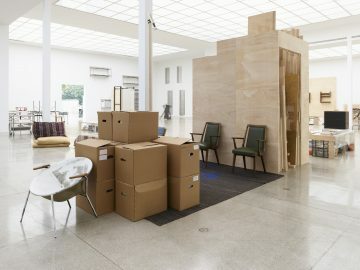 Thea Djordjadze’s expansive installations are always developed on site and in direct response to the surrounding space. 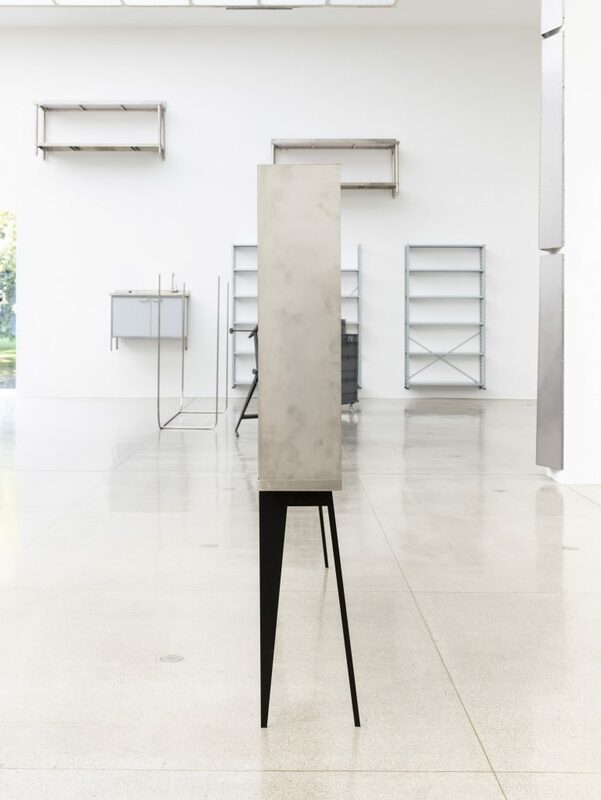 She begins by exploring the specific qualities of an exhibition space; her works subtly transform the viewer’s perception and possible interpretations of the given architectural situation. 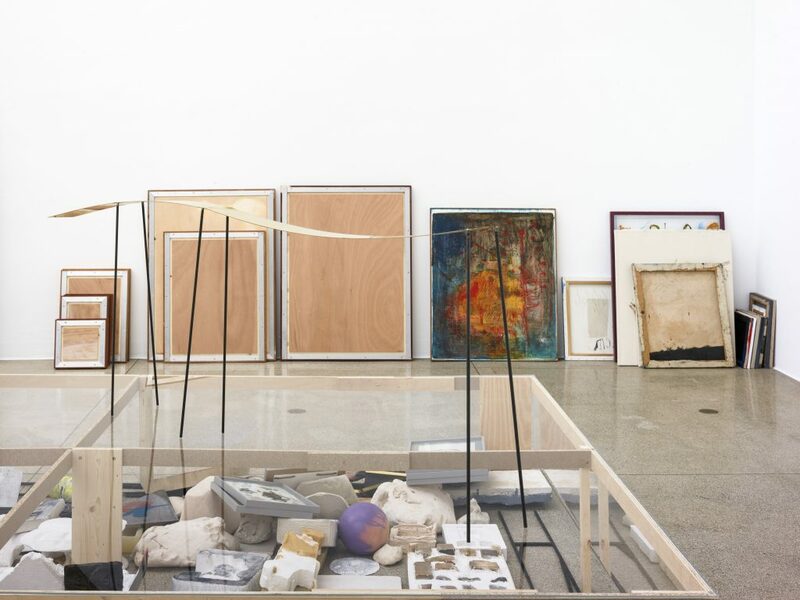 Her creative practice consists in the ongoing repurposing, reconfiguration, and reorganisation of existing or new objects. 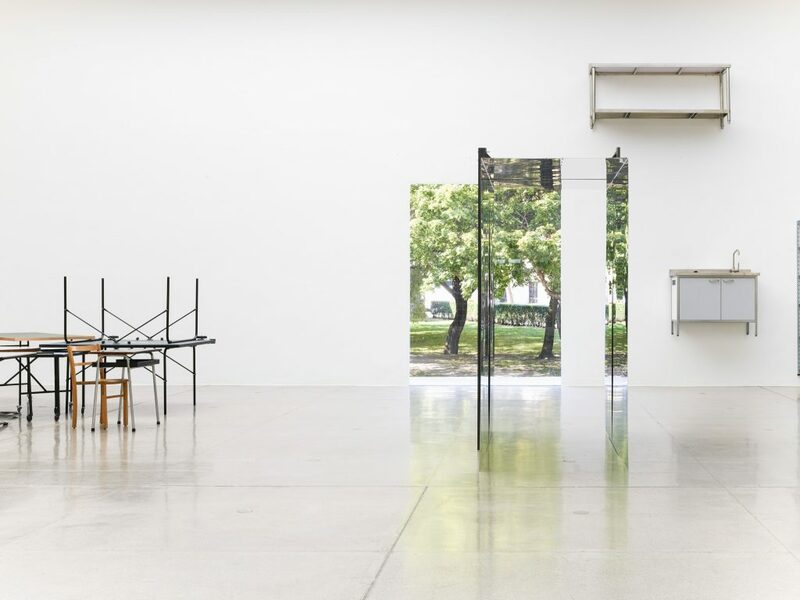 The characteristic feature of her art is the provisional arrangement—the temporary solution or preliminary formal choice—that will subsequently be discarded or replaced and already contains within itself the seed of a transition into something else. Indeed, in a sense, such temporariness itself becomes the work. 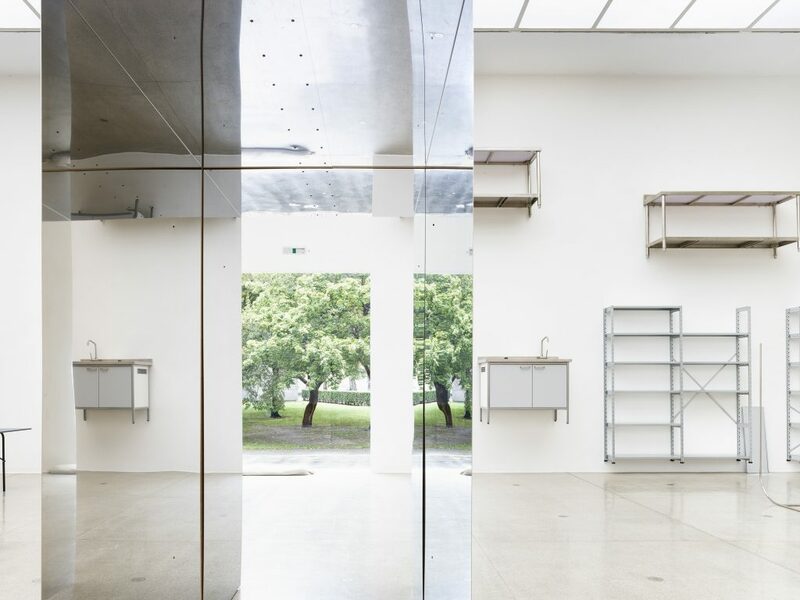 For her exhibition at the Secession, Djordjadze has relocated her studio to Vienna. Literally everything that was not nailed down was dismantled, removed from shelves, stacked in moving cartons, sheathed in bubble wrap, piled up on palettes, loaded onto the truck. A radical decision, since it leaves her studio in Berlin completely empty, at least for the time being. 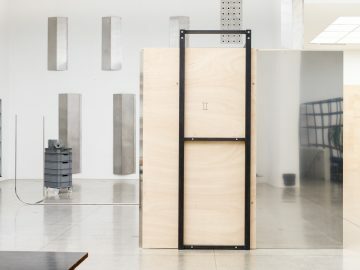 All the things the artists needs for her work—or even more basically, in her everyday life—are temporarily out of reach. But does not such an evacuation, the creation of a tabula rasa, also embrace the possibility of a liberation, a new (or regained) freedom? 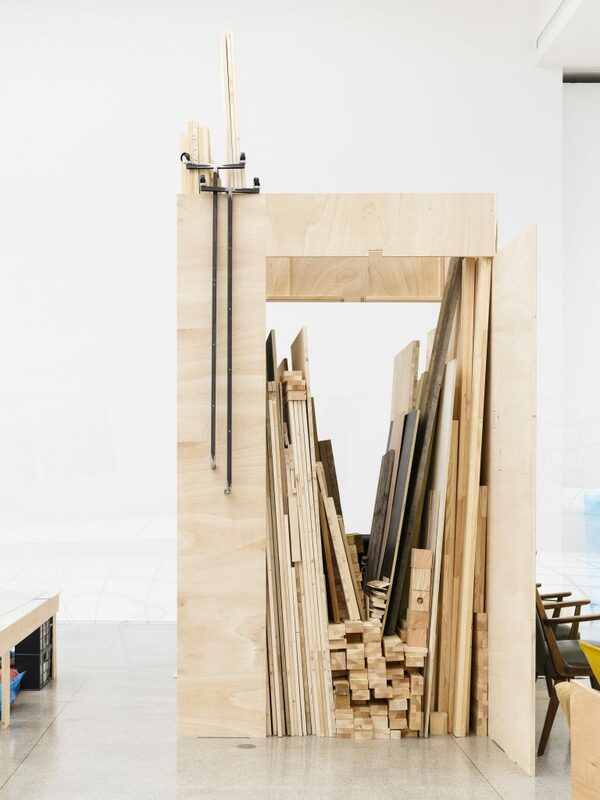 The complete inventory of Djordjadze’s studio was the material out of which she has fashioned an installation that turns her private workplace into a public scene and lends it a new order and sculptural form. 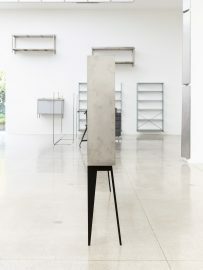 Its transformation was based on a painstaking examination of the objects. 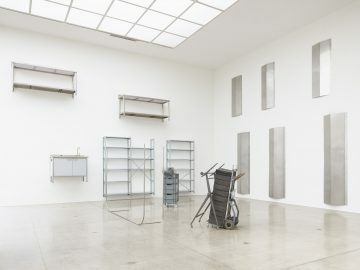 In a time-consuming review, the artist studied their underlying nature and function, stripping them down before the mind’s eye to purely abstract materials available for an intuitive and pleasurable process of rearrangement: screws, electric appliances, tools, bags of plaster, papier-mâché, clay, a printer, a scanner, wood panels, square timber, shelves, archival boxes, paints, brushes, magazines, household goods, acrylic glass panes, steel racks, plants, tables, chairs, fabrics, furs, cushions, paintings, mouth-blown glass spheres, lamps, vitrines, models for future and objects from past exhibitions, etc. Organising these materials and objects in a condensed presentation, the artist has created different “zones” that accentuate the exhibition space and its basic structure. 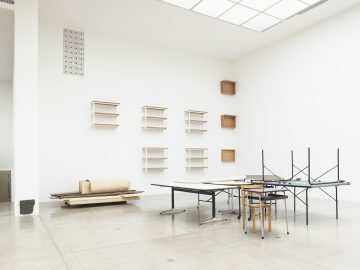 Empty shelves and wooden drawers are mounted on one wall, flanked by raw boards. The facing wall is decorated with several elongated metal plates reminiscent of window shutters, with hinges that allow them to be almost flush with the wall or rise from it like a relief; metal shelves and kitchen furniture strangely seem to float above the floor. Everything is aligned with a rigorous grid emphasising the tall ceilings and verticality in general—perhaps a laconic nod to Juddian design principles. The display—the glass case, base, frame, pedestal, etc.—has long been a central artistic concern and recurrent motif in Djordjadze’s work. 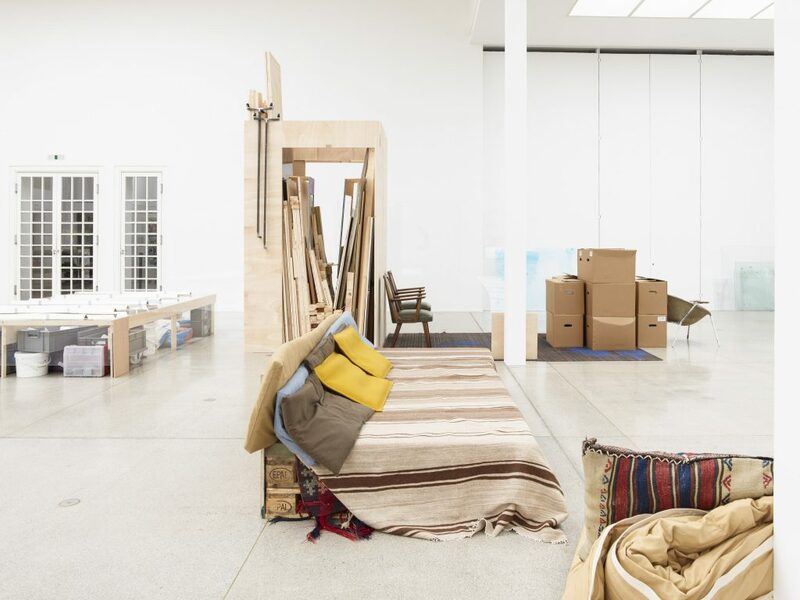 The new installation draws no distinction between the stuff of everyday life, artist’s supplies, and artistic works in its scrutiny of fundamental questions of exhibition-making. Framed by black industrial shelving, potted plants send leafy tendrils up the walls of one side aisle, while a home-built sofa with extra-deep seats lends a certain cosiness to the situation. The boxing that protected a freestanding metal sculpture has been unceremoniously repurposed to hold wood panels and square timber—the question is hard to avoid, although no answer is forthcoming: is this object a sculpture or merely a makeshift container? Of the numerous paintings, meanwhile, only a small selection has been “classically” mounted; others lean against the walls or each other in staggered clusters, revealing only their back or partial views. The very conception of Djordjadze’s show anticipates and responds to a voyeuristic gaze by implementing a subtle visual regime: what is shown, what remains obscured, veiled, hidden, which sights are offered up to the viewers—these are subject to careful control, and in many instances the act of showing goes hand in hand with one of not-showing. The same principle is evident in the artist’s book also titled To be in an upright position on the feet (studio visit). the artist designed during the run-up to the exhibition. 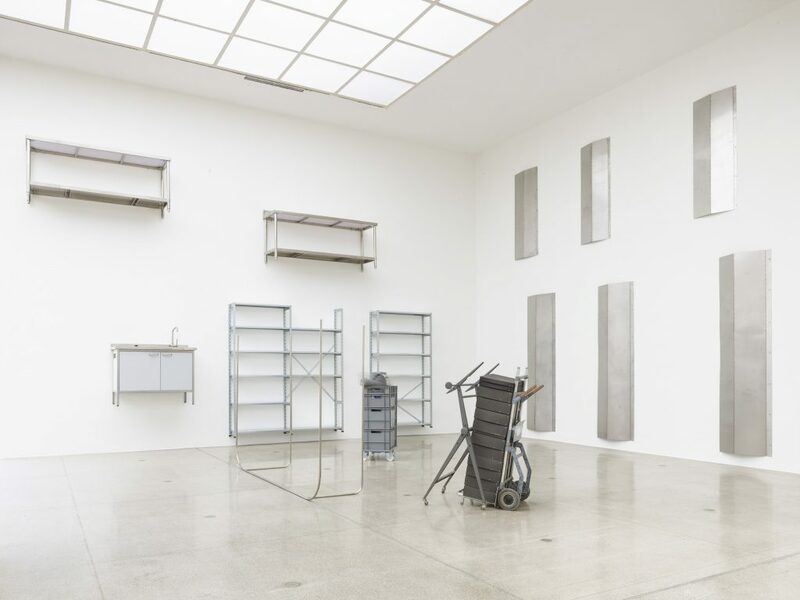 Over a hundred photographs taken in her studio in Berlin—overall and detail views in manifold variations—present a glimpse of the everyday operations of an artist’s workplace, or so it seems: the picture never attains concrete contours and ultimately remains a vague impression. 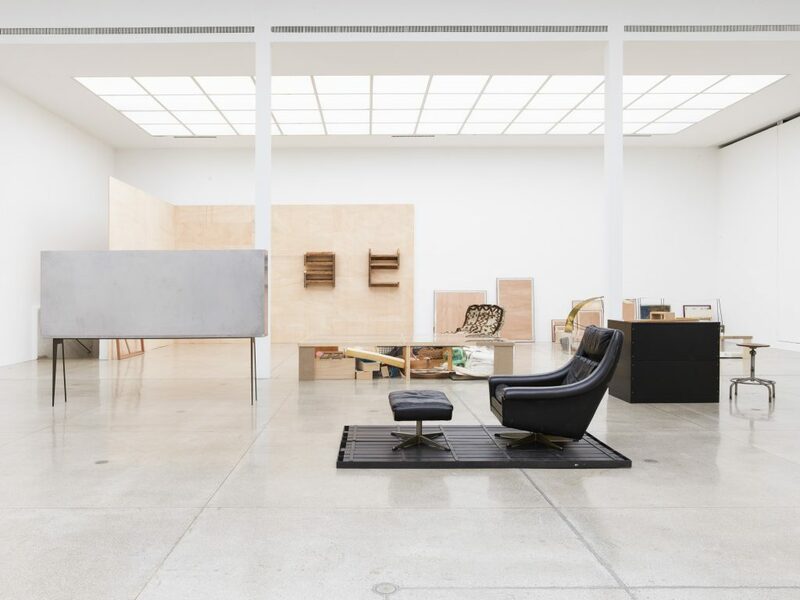 The installation in the Secession’s main gallery constitutes a sort of “meta-exhibition” that implicitly contains Djordjadze’s entire oeuvre. The past palpably resonates in the provisional configurations, but they also seem to be gearing up for future creative choices and potential developments, a paradoxical simultaneity that becomes manifest in present and presence of the exhibition. Thea Djordjadze, born in Tbilisi (Georgia) in 1971, lives and works in Berlin.